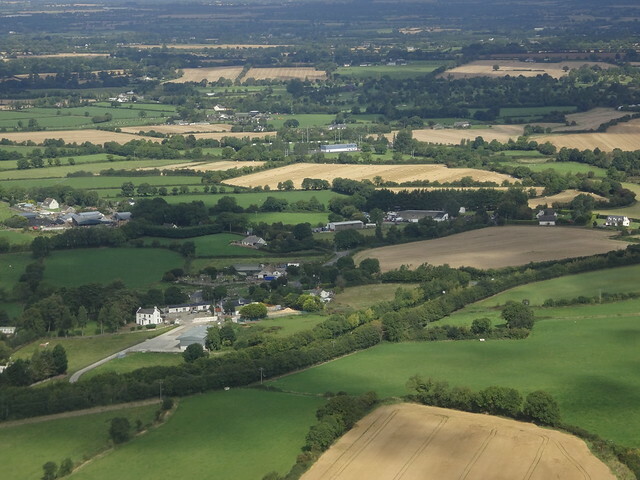 We took a little detour on our way back to Dublin to see the Corlea Trackway. 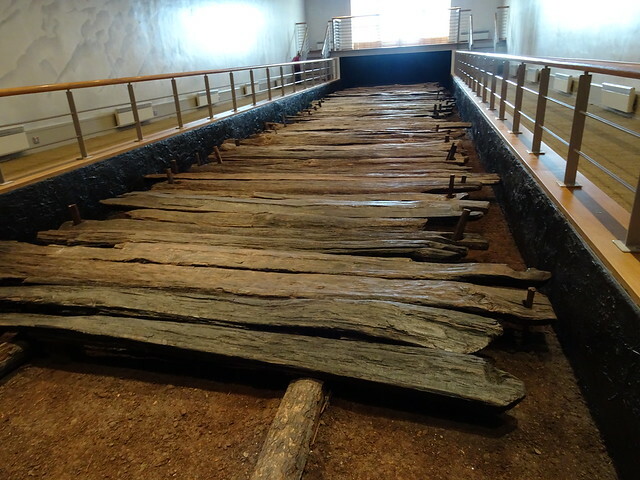 This iron age bog road (dating from 148 BCE) was discovered buried in the bog in 1984. Part of it was preserved (a complex process) and was repositioned in a climate controlled building exactly where it was found. It was only used for about 10 years before it sank into the bog. It was a huge undertaking to build and there is much conjecture as to what its purpose was. Much of the trackway remains buried in the bog outside the visitor centre. 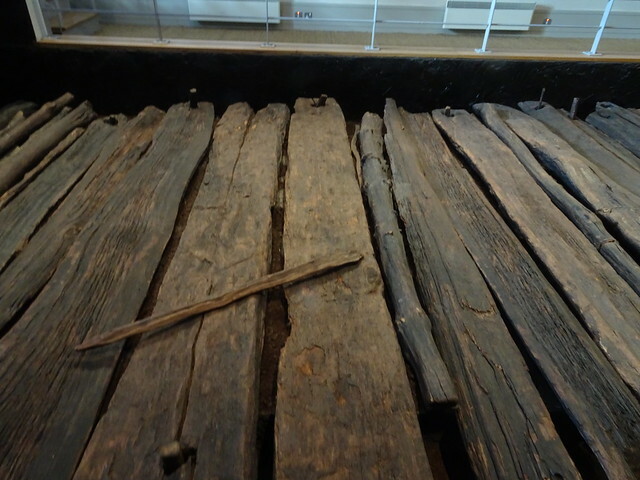 It was once possible to walk on a wooden walkway over the bog but this is now closed as it, too, is showing signs of sinking and needs to be repaired to ensure visitors' safety. 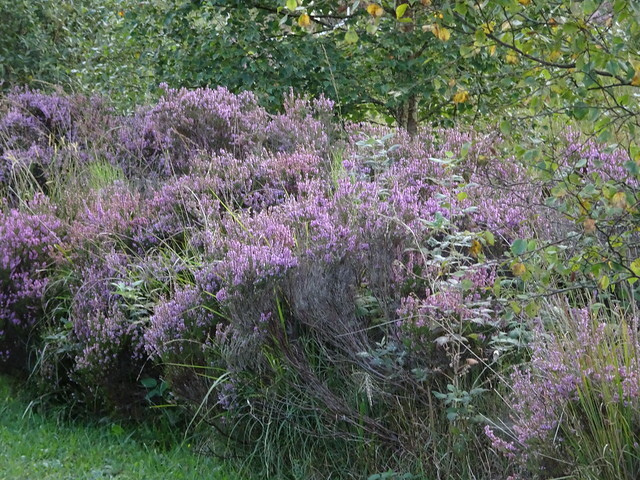 The area is surrounded by bog and lovely heather which was, according to our guide, much more highly scented than is usual. In a nearby pub where we had lunch I snapped this sign. 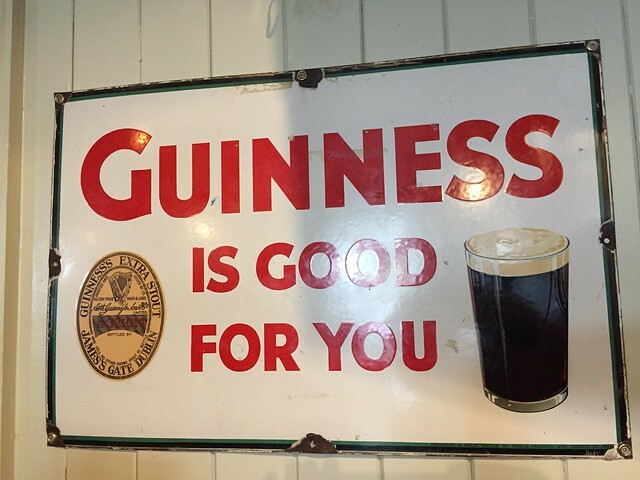 It still has not convinced me that Guinness is good (tasting, that is) - though I am not a fan of beer of any sort. After a night at a hotel near the Dublin airport - a jarring experience after our days in the countryside - we left Ireland and headed to Iceland for a few days before returning home. Thank you for allowing me to be an armchair travel as you took me though Ireland, Susan. I hope you and yours are well. I enjoyed your Ireland trip,Susan. Thank you for sharing!